This Wednesday, April 20th, at 9am is our last chance to convince the City Council Charter Review Committee to recommend our CRB Reform Ballot Proposal be put on the November Ballot. It’s Item 1 on the agenda – come to the 12th Floor Council Committee Room in City Hall. Allow time for parking and to get through the ground floor security screening. Councilmember Chris Cate, Vice Chair. This is in regard to the community supported proposal to reform the Civilian Review Board on Police Practices which has been under discussion by the Council for the last year. Although we appreciate the robust discussion of that proposal which took place at the PSLN Committee on 3/23/16, and the fact that they sent some aspects of it to your Committee with the recommendation that they be included in the Charter, these recommendations fall far short of the original proposal. Specifically, they do not include the points that we believe must be included in the Charter to insure that the CRB is viewed by San Diegans as an entity which is transparent and independent, and warrants public trust. These are: Independent Investigators, Independent Legal Counsel, and Subpoena Power. The City Attorney has ruled that changes to the CRB must be made either by the Mayor or by Charter revision. In light of this, and the timeliness and importance of this issue, we feel it is essential that our proposal be allowed the broadest possible consideration by your Committee. We would appreciate an opportunity at the April 20, 2016 meeting of the Charter Committee to present our arguments in full. In addition, we believe that the role of the Board needs to be clarified. The CRB represents the only opportunity the Community has to directly influence the workings of the Police Department. The Board is directed and run by the Chair, Vice Chair and its members. The role of the Executive Director is a management/administrative one. There have been multiple arguments made that the Executive Director will correct the shortcomings of the CRB given time to do so. We have no doubt that the current ED will correct the administrative shortcomings of the CRB. However, our proposal is not about administration, it is about the power and authority of the Board itself. CRB policies and procedures need to be promulgated by the Board members, with input from the Community. These should be put online for comment, then go to the City Council for comment before adoption. At the PSLN Committee meeting, Councilwoman Emerald said we should all be working together, the CRB, SDPD, City Council and the Community. We agree. Please advise us as to how we might now address the points in the ballot proposal that are not included in the agenda for the April 20 meeting. It is our hope that the Council Committee will continue to engage with the 26 community organizations that have endorsed the ballot proposal in its entirety. The Community of San Diego deserves a CRB that is independent and transparent. 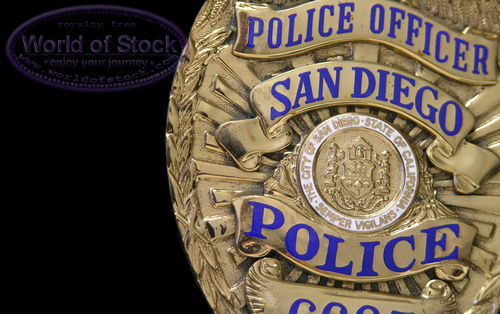 As you know, this will go a long way to build trust in our police force and in relations between the community and law enforcement and help to continue San Diego’s reputation as America’s Finest City. OSD (Women Occupy San Diego). Thank you for helping to get the word out about this very important meeting tomorrow morning at City Hall!